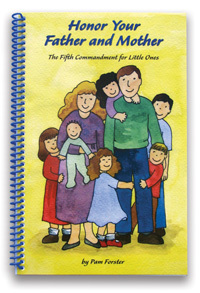 This coloring book includes all the text from Proverbs 31:10-31, accompanied by Doorposts-style illustrations. 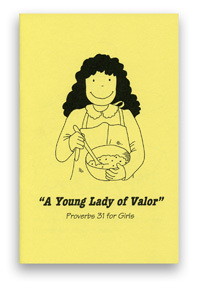 Simple drawings bring each verse down to "girl-level," helping our daughters see practical ways to apply Proverbs 31 to their own young lives. 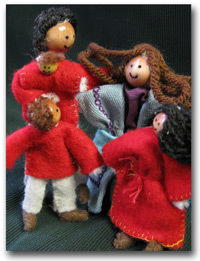 This coloring book is included with the complete Ruby Doll kit, but it is available separately as a soft-cover booklet. 8.5" x 11". Bible verses are quoted from the KJV translation. I'm having my dgt. color now and I don't see how you could add lines for copywork on the page without cluttering. We're putting in clear plastic sleeves after coloring to use for memory work. Thanks so much (I received as free summer download). Only suggestion I have is to add lines for user to write the verses as copywork below the printed verses. Very nice illustrations. Wow! Encouragement for Me Too! I just downloaded this book for my daughter, but I am encouraged by it too! It sure simplifies the Scriptures and brings it into today's world. This makes it easier for even me to keep up with the Proverbs 31 woman! Thank you for the encouragement! I got it for my nearly 14 year old, but I think my 26-year-old might like it too. I know I do! i have learned something about children....pictures help them remember! this book hits it on the head. Although not "flashy" or showy, this simple black and white coloring book can help little girls to memorize proverbs 31 and see how they too can strive after godliness even in their youth. plus who can complain at such a low cost? Perfect For My 9 Year Old Daughter! A very simple version of Proverbs 31 that makes the concept clear to understand in a memorable way. Our daughter enjoyed coloring the pages, and will remember the instructive chapter for many years to come. She looks forward to the day when she can put the character traits into practice in her home!